The dilapidated pier on 132nd Street will soon be converted into a park. Standing on the remnants of a pier at 132nd Street, with the smell of garbage hanging in the humid air and a honking truck in the background, Deborah Marton outlined a new vision for the Port Morris waterfront. 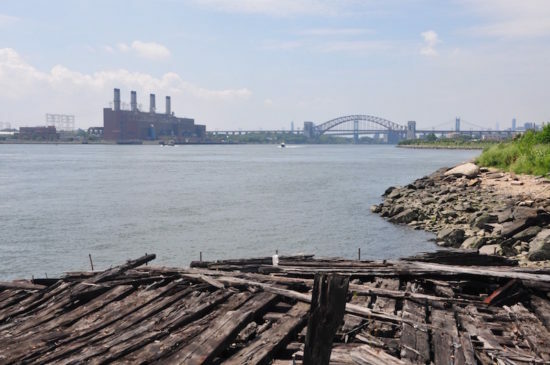 “Inside of this dilapidated pier, imagine an active, inviting public space,” said Marton, executive director of the New York Restoration Project. On July 8, the organization officially debuted The Haven Project, an ambitious multi-year initiative calling for new green space in Mott Haven and Port Morris. They announced that their first goal would be to create a park on the eastern edge of 132nd Street. Another park at the historic Gantry site on 134th Street is scheduled to follow, along with a greenway connecting both parks to Randall’s Island via a soon-to-open pedestrian bridge. New bike lanes, pedestrian safety features, trees and street art will be added to help increase outdoor recreation and access to the Harlem and East River waterfront. Elected officials and community activists praised the plan, saying that waterfront access for South Bronx residents is long overdue. Arroyo, along with her mother, Assemblywoman Carmen Arroyo, promised to help secure funding for the project. Marton estimated that the 132nd Street park would cost between $5 and 10 million. Construction could begin as early as next year and be completed within the next three to five years, she said. During the construction phase, a shuttle bus will transport pedestrians between Randall’s Island, nearby subway stations and the bridge on 132nd Street, which officials have said will open this summer. In addition, the Restoration Project says it will plant more than 800 trees in Mott Haven this year, to help fight local asthma and obesity rates, which are among the city’s highest. Mychal Johnson, co-founder of local grassroots coalition South Bronx Unite, said the plan could also help lessen the income inequality gap between local residents and wealthier Manhattanites downriver. 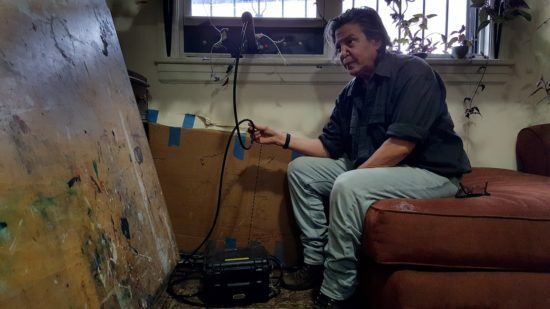 Despite excitement over the new project, however, challenges remain. 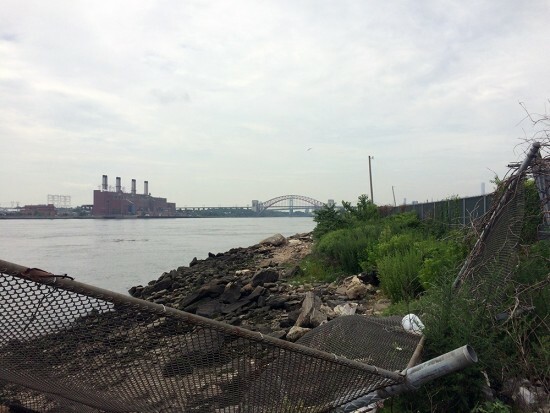 Questions linger over waterfront land boundaries between the city and Con Edison. Beyond the basic clean-up of empty rum bottles and old paint cans that litter the beach, more extensive environmental remediation may be necessary. Protection against future storm surges will also have to be factored in. In October 2012, Hurricane Sandy caused the river to rise, lifting the pier’s decking and mangling pilings that were already in bad shape due to a 1989 explosion. If tides had been higher, water could have damaged an electrical plant up the street and flooded residential areas. In addition, there are no plans in place to curb industrial activity or the steady stream of truck traffic near the waterfront. The renovation team pointed to the South Bronx Greenway in Hunts Point, as well as more elaborate shoreline protection measures in low-lying areas of Europe, as examples of how industry and recreation can coexist. By the time the park on 132nd Street is completed—-well before the entire Haven Project comes to fruition—-Mott Haven and Port Morris may look very different from the way they appear now. 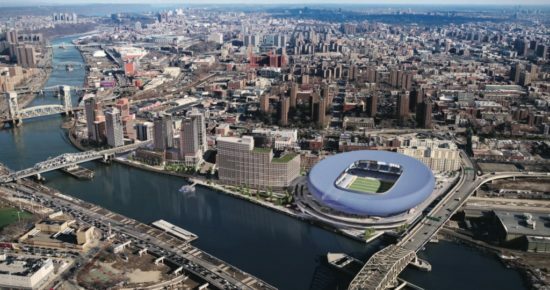 Numerous construction projects that are planned or underway along the Harlem River waterfront, the Randall’s Island connector and the frantic pace of new housing and retail developments across the area could dramatically reshape the neighborhood. One local resident who attended the press conference, Ray Mendez, said he was excited about the new project’s potential, and not concerned about rapid changes facing the neighborhood.